Acciona has presence in 65 countries and has nearly 34,000 employees. 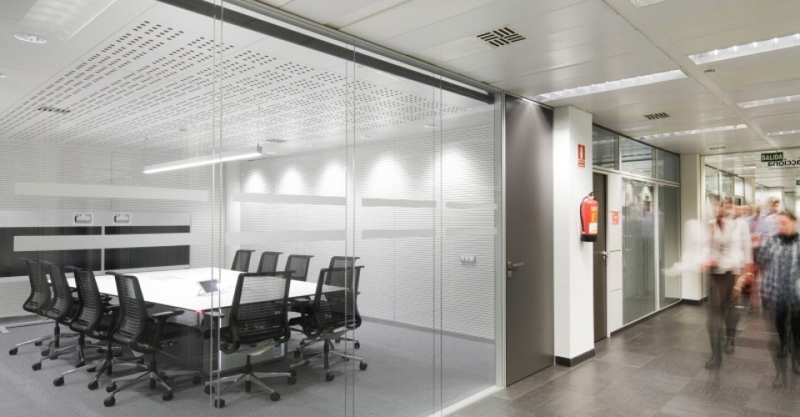 Communication and team collaboration is a key aspect in the development of their business, so they decided to create in different venues telepresence rooms where different teams in different locations could work without leaving their office. 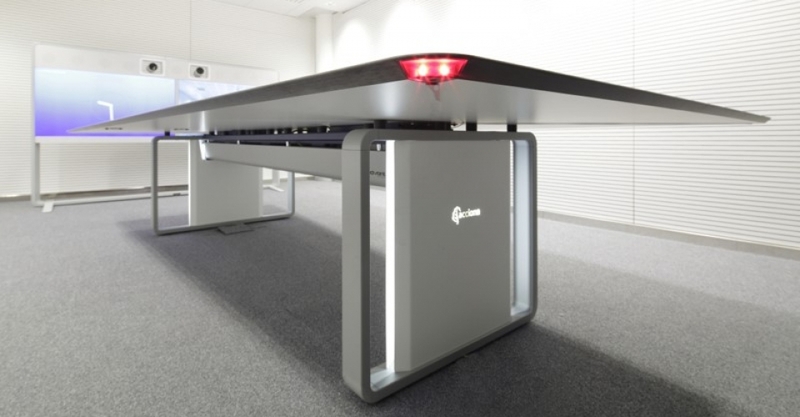 After a meeting with GESAB where we made a presentation different solutions we awarded the framework contract for all telepresence tables worldwide. Telepresence table was a key issue for ACCIONA and GESAB worked on a structure of Advantis NG with polygonal phenolic keeping all the wiring hidden, as well as microphones and speakers across the table, plus adding all kinds of connections (HDMI, RJ55). Each table has been customized with ACCIONA logo, making it more corporate. The aim was to increase the use of such rooms for meetings without travel, and for that reason convenience, comfort, ergonomics, functionality and integration with technology were key aspects. 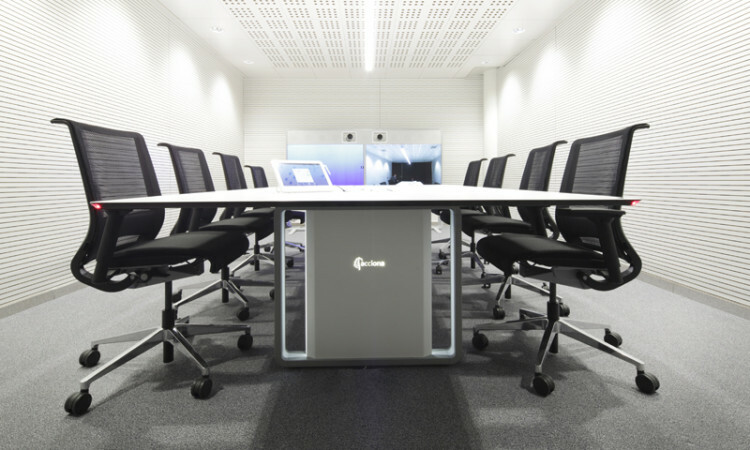 After installing several tables in different international locations, the use of these telepresence rooms and conference has increased markedly, making decisions faster, more productive and dynamic meetings and getting annual savings in travel and subsistence. 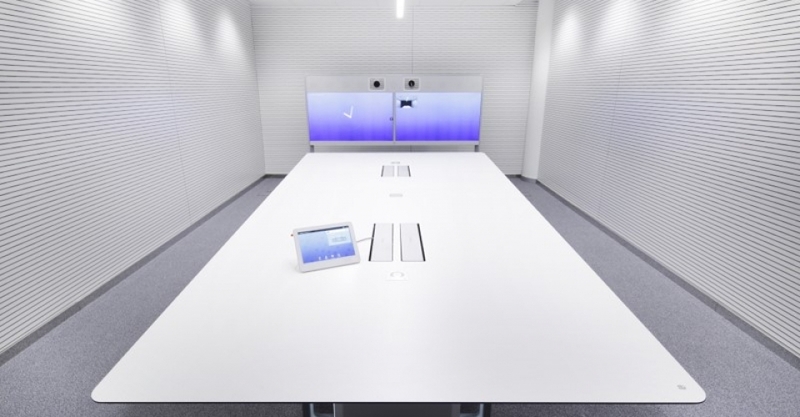 The assembly of new telepresence rooms will be a constant in the different venues that ACCIONA has worldwide. About ACCIONA: ACCIONA is one of the main Spanish corporations, leader in the development and management of infrastructure (construction, water and services) and renewable energy. Listed on the selective Ibex-35 stock market index.